Forget rummaging through your makeup bag looking for that elusive brush. 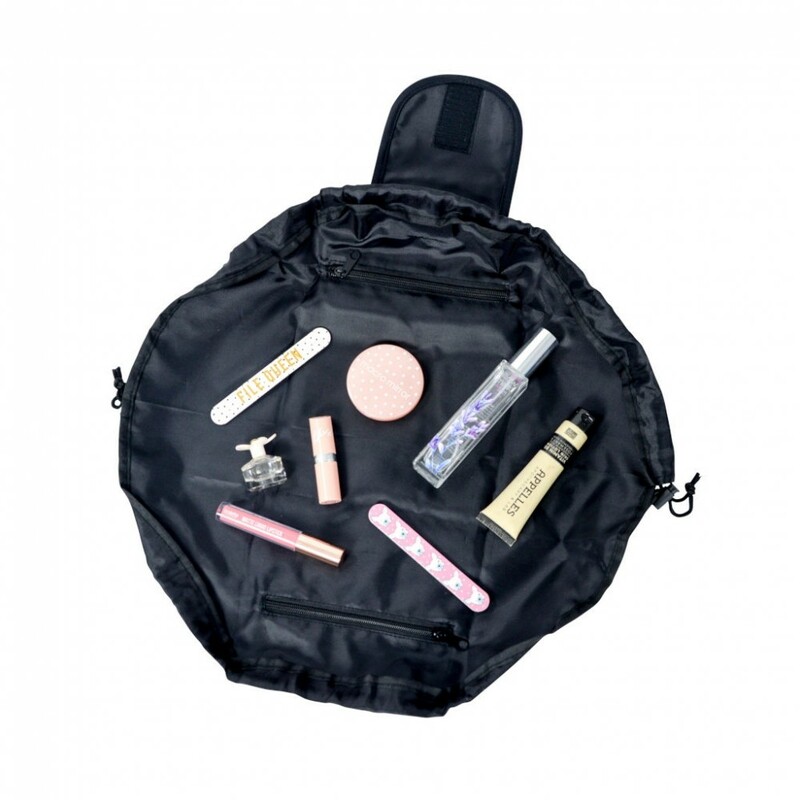 Open up the pouch flat and allow for an effortless makeup application experience. Easy to use drawstrings close up the pouch. Also has zip pockets inside to keep little items organised. Compact, lightweight and easy to clean with a simple wipe.